Are you looking for an effective way to promote your offline store? Consider experiential marketing. This marketing strategy makes people talk about your brand, broadens your customer base, and ultimately increases sales. In our article, we define experiential marketing, outline the benefits it can bring to your store, and examine the best experiential marketing examples. Experiential marketing (EM) is known by lots of names including experiential event marketing, on-ground marketing, live marketing, participation marketing, and special events. 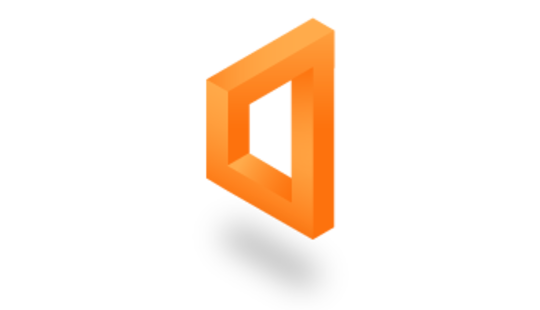 EM marketing is a promotional strategy aimed at providing deeper engagement with a product by immersing customers in an interactive and memorable experience. If you’re able to arouse positive emotions in your customers, they’ll associate these feelings with your brand. This way you can acquire an army of loyal advocates. Ikea, for instance, listened to its customers and organized a night in an Ikea store for them. The company chose 100 people out of 100,000 who had joined the “I wanna have a sleepover in Ikea” Facebook group and provided them with sleeping masks, hot cocoa, and a star guest reading a bedtime story. Sleepover participants were also offered massages and manicures, movies, and mattress selection help from store managers. This was a PR stunt and a smart way to make people test out products like mattresses. European sporting equipment company Globetrotter offers customers weather rooms where they can try out Globetrotter equipment in storm-grade wind simulations and -30°C temperatures along with wind chill. Customers enjoy the possibility to test the heavy-duty sportswear, which is often expensive. Experiential is a uniquely fast and effective way to build brand awareness through one-to-one connections with consumers. It engages all five senses, sparking emotions that form lasting memories which have been shown to drive brand loyalty. As you can see, experiential marketing can be quite a lucrative investment. Experiential marketing can benefit your business no matter what industry you’re working in. Let’s look at examples of successful experiential marketing campaigns in different industries. To promote the revival of Gilmore Girls with Gilmore Girls: A Year in the Life, the Netflix team turned 200 local cafes into Luke’s Diner, serving complimentary coffee to excited fans. The campaign saw long lines at each location and huge social engagement: fans viewed the Luke’s Diner Snapchat filter 880,000 times. Animal Planet established the world’s cutest sporting event, the Puppy Bowl, to promote the adoption of homeless dogs both young and old from shelters all around the United States. The event featured 39 cute puppies trying to play football with rope toys and sniffing each other. This campaign led to more than 3,000 pet adoptions. Paramount Pictures decided to go a different direction and created a terrifying prank for the upcoming sequel to Rings. The film company pranked visitors at an electronics store in New York by hiding an actress made up as the girl from Ring behind one of the TV sets. The TV store stunt gained over 3.5 million YouTube views in just 48 hours. Lay’s installed a human claw machine in Japan where customer could strap themselves, dive into a giant pit full of chips, and grab as many as they could. The campaign achieved success and gathered hundreds of people who wanted to play. To make some buzz around its new Experimental Series of whiskey, Glenfiddich turned a tasting event in a London bar into a fun game. Customers could log in to an app, answer questions about themselves, and then get a drink matching their personality. An experiential campaign by Anheuser-Busch included a full-on Beer Garage. The garage was equipped with multiple sections from a comfortable lounge to a bar with Budweiser on tap. The hallmark of the campaign was a 4D virtual tour of Budweiser’s brewing plant. 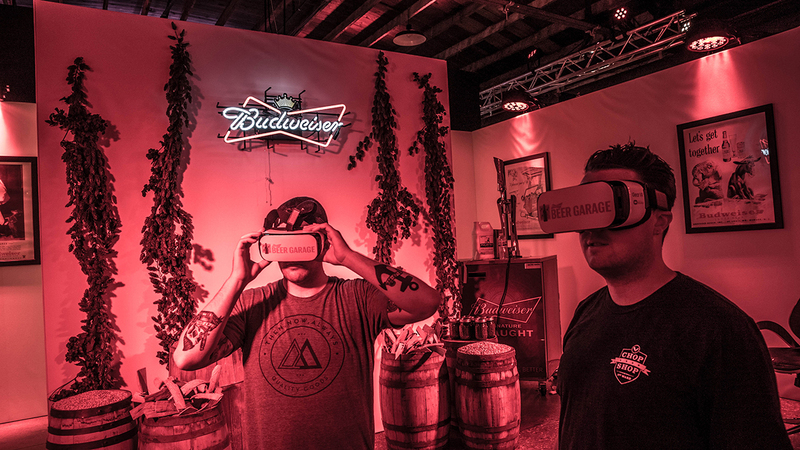 Budweiser created a multi-sensory virtual reality experience. Selfridge opened The Quiet Shop in London, selling limited edition products with no brand names on the packaging from Heinz, Marmite, Levi’s, and other brands. The shop also included a Silence Room where customers could relax and meditate in relaxation pods. All these measures aimed to protect customers from company bombardment and ensure a smooth shopping experience. 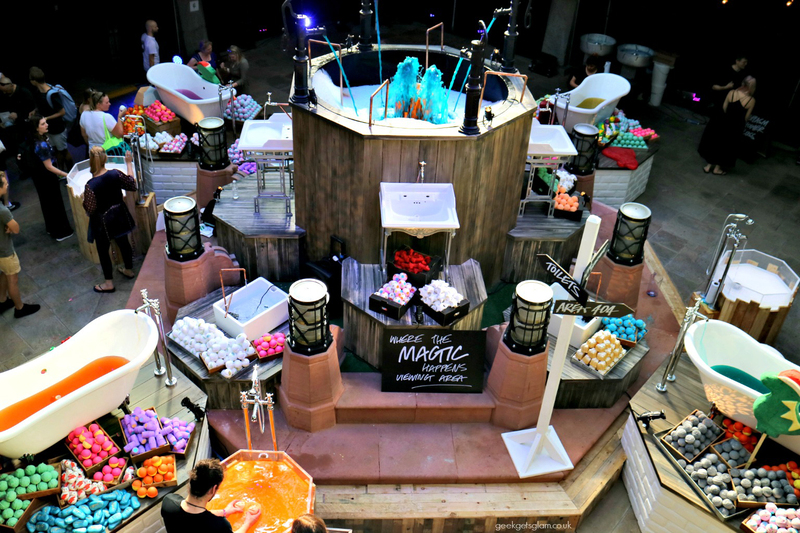 Lush created a series of Creative Showcases to promote its new products. At Lush’s Showcases, people can find everything from sneak peeks at new products to live Lush kitchen demonstrations. The Lush team chooses several people behind the scenes to create limited batches of bath bombs, face washes, scrubs, and more. The event also included music, film, and tech installations. Lush offers to have a sneak preview of the Halloween and Christmas products. 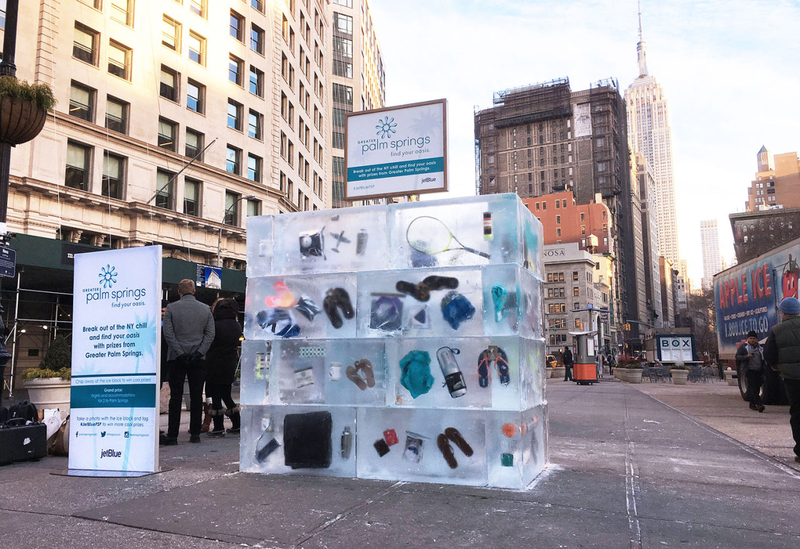 JetBlue put ice blocks full of frozen prizes in New York City. People could literally break the ice to take trophies. New Yorkers even had the chance to win free airfare to and accommodation in a desert oasis. The campaign was intended to promote new direct flights from New York to Palm Springs and encourage people to escape the cold. 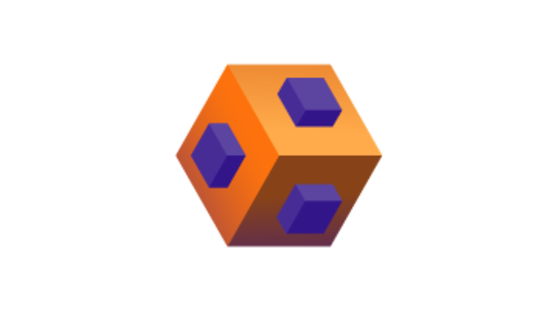 The free stuff coupled with gamification got lots of brand mentions on the internet. Palm Springs and JetBlue stage Ice Block Challenge to promote summer travel destinations. The New Mexico Tourism Department waged a summer-long scavenger hunt to promote tourism. Participants needed to use a website or app to gather clues to determine the location of Billy the Kid. The New Mexico Tourism Department presented participants with weekly prizes in the form of lodging and meal packages. For catching Billy the Kid, two participants got $10,000. General Electric shot movie sets showing different healthcare environments where Healthymagination, a General Electric initiative, took place. The company wanted doctors to share their stories and get people talking about access to healthcare in the least developed countries. OhioHealth recently ran an experiential marketing campaign that involved a 5,000-meter race and a walk that targeted moms. To promote its maternity and women’s health line of service, OhioHealth also created a huge greeting card and set up coloring tables for kids so people could write encouraging notes to new moms and families. These notes сheered up hundreds of moms in delivery rooms at OhioHealth hospitals. 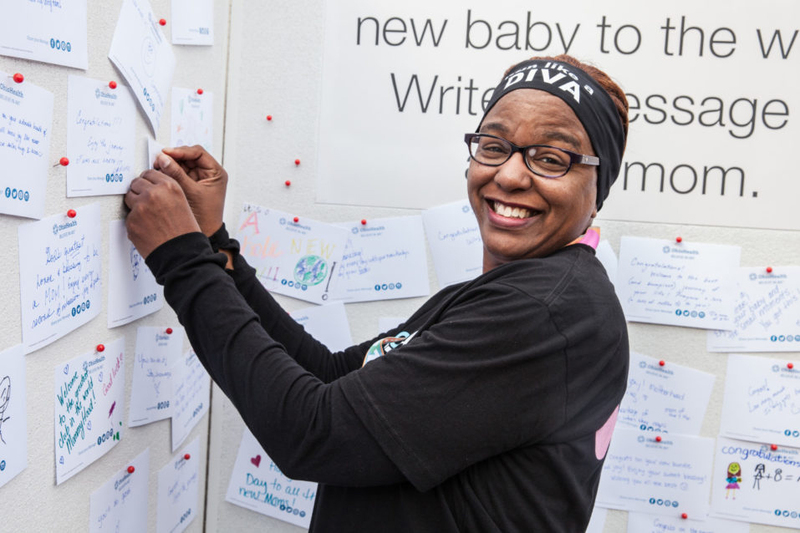 OhioHealth encouraged people to pin positive messages to celebrate new moms and babies. United Healthcare challenged people to take one small action daily leading to healthier living. The healthcare company encouraged people to share photos on social media of themselves doing these actions with the hashtag #WeDareYou. Since each post included the unique hashtag, the campaign received social buzz and dramatically increased awareness of United Healthcare. Mastercard launched a Priceless Surprises program that let customers win everything from small music-related prizes to tickets for Justin Timberlake’s world tour just for using their debit or credit cards anywhere. For using the #PricelessSurprises hashtag on Twitter or Instagram, customers could even spend an unforgettable time with Justin Timberlake. Emirates NBD recognized that young people were neglecting their retirement plans. To change the situation, they created a campaign showing young people how their faces would look 30 years in the future. This campaign encouraged young people to think about their futures and increased the number of retirement plans sold by 15 percent. The luxury sports car manufacturer organized a test drive for several Aston Martin car owners on slick winter ice in Colorado. The lucky owners got to experience a braking loop, a slalom course, a skid pad, and a full race circuit and truly feel like Agent 007. 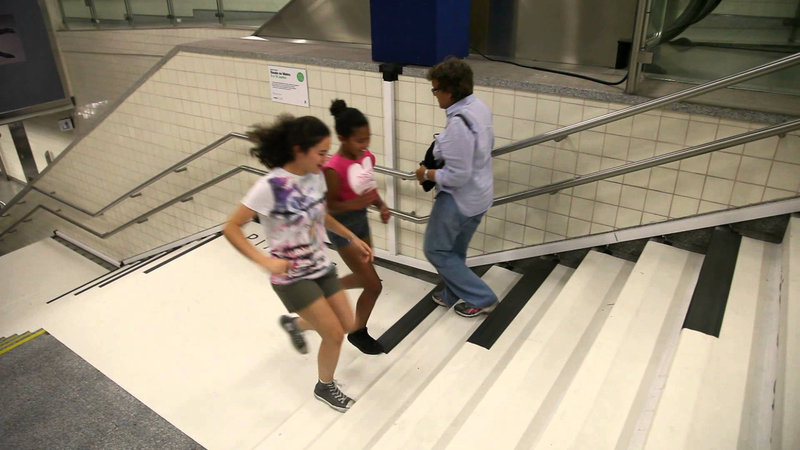 To prompt people to take the stairs instead of the escalator, Volkswagen transformed a flight of stairs at a subway station in Stockholm into working piano keys. This campaign helped to change the behavior of Stockholmers: 66 percent more pedestrians took the stairs than usual. The campaign’s video went viral, getting over 23 million YouTube hits. Volkswagen changes people’s behavior through intriguing commuters to try new stairways and enjoy making musical movements. 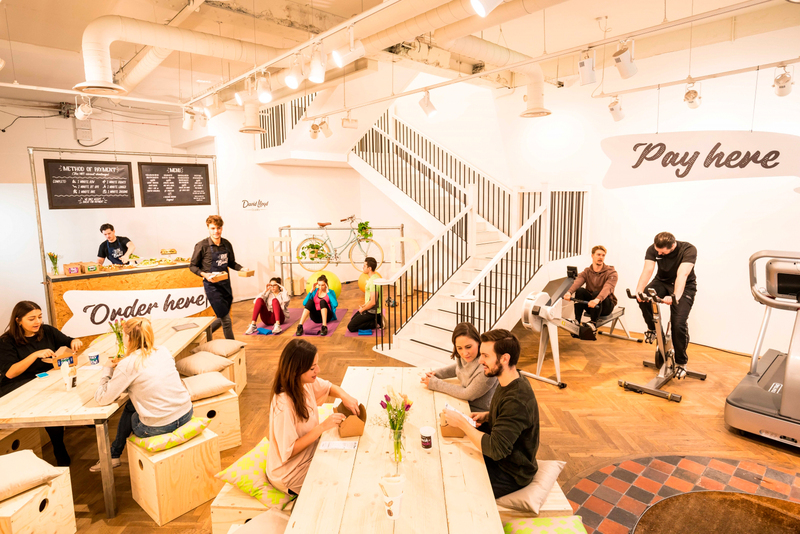 David Lloyd, the gym and fitness club, opened its own pop-up cafe where people can buy food and drinks by exercising. To get lunch, for example, a customer has to do a 10-minute high intensity workout. David Lloyd wanted to convince people that regular exercise and nutritional food should be part of a balanced and healthy lifestyle. Run for Your Bun cafe makes customers exercise before ordering lunch and thus forms healthy habits in them. David Lloyd didn’t stop its experiential activities with the cafe, however. It also launched a napercise class, replacing fitness machines with beds to encourage people to recharge and follow patterns of well-being. Nike cooperated with Barry’s Bootcamp and Kobox to create a unique, physically demanding experience for Londoners. The high-intensity training included a boxing session with Kobox followed by a Nike Run Club session or a Barry’s treadmill workout and Nike Training Club. There were also lighting and video installations and a live orchestra playing a unique soundtrack by Hot Chip during the training. Google launched several food trucks across the USA that gave people free food for showing images on their phones. To get food, a customer had to show a photo of a specific object on their phone in 20 seconds. Requested photos fell into popular Google Photos search categories like boat, dog, and beach. Customers who succeeded to show images with the requested subject matter got free waffles, and those who failed to do so were gifted free mini waffles and a lecture about how Google Photos could help them. This was a smart way to highlight the search functionality of Google Photos. 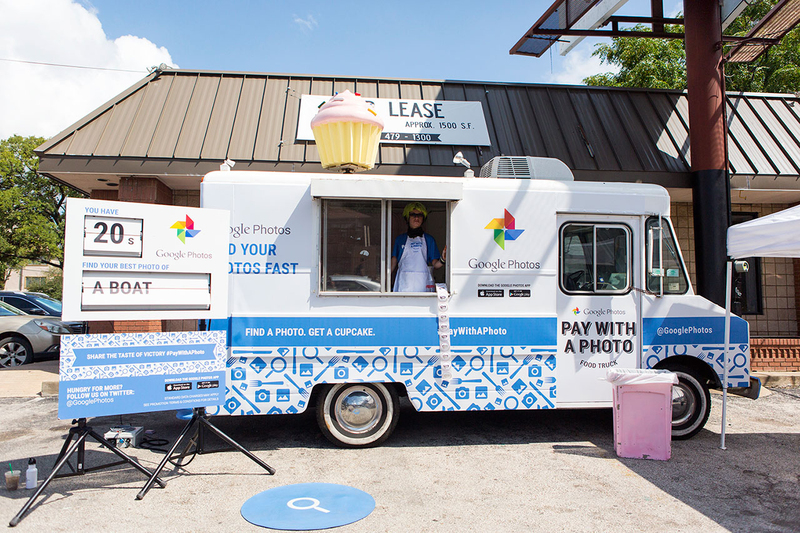 Google’s food truck lets people exchange their photos for free snacks. Samsung enhanced the promotion of its new phone, the Galaxy S9, with augmented reality technology. At the official presentation, journalists could direct their phones at their badges and see a full model of the Galaxy S9 pop up on their screens. 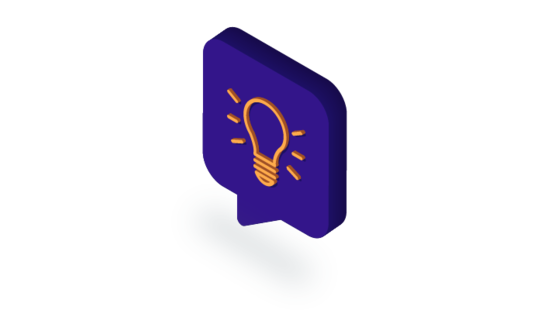 Great ideas for experiential marketing campaigns are born only when you know your industry and your core market well. Don’t try to replicate the success of the renowned brands we’ve talked about above. Come up with your own unique event. Try to create the perfect balance between your business’s goals and your audience’s needs. Read our next article to deepen your knowledge about experiential marketing and learn valuable KPIs to track the progress of your campaign. Hello there, I read your post. Contains very useful and meaning information about the experiential marketing. I followed everything as you explained in this post and it really worked. Thank you so much! 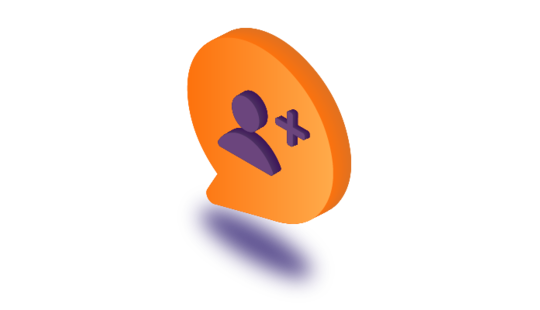 Affiliate Marketing for Your Business: Ally or Foe? How Much Does it Cost to Build Event Planning Software?